Magnetic Storms is an app that shows in near real time the condition of the Earth's magnetic field regarding the solar particle emissions. 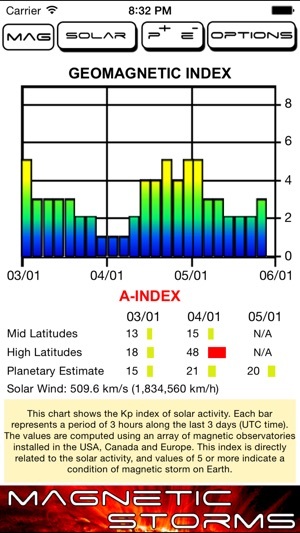 Three parameters are showed: the Kp index, based in an array of magnetic observatories around the Earth, the X-ray solar flares and the protons and electrons flux based in satellite observations. 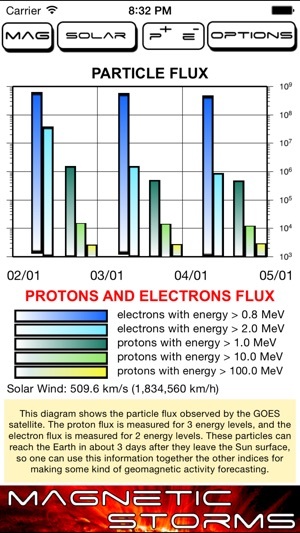 With this app you can access the Sun emissions in a graphical way and predict the occurrence of auroras and magnetic storms on Earth 2 days in advance. The app is distributed in English, Portuguese, Italian, Spanish and French. The layout was adjusted and now it works perfectly in iPhone4S, iPhone5 (all), iPhone6(s) and iPhone6(s) Plus, iPhone 7/8 and iPhone7/8 Plus, and iPad2, iPad Retina, iPad Air, iPad Pro and iPad Mini. Please send any requests to mikebm10.appledeveloper@gmail.com, so we can try to help you and improve our app with your comments. Thanks a lot! We are bringing you a much better Magnetic Storms app! 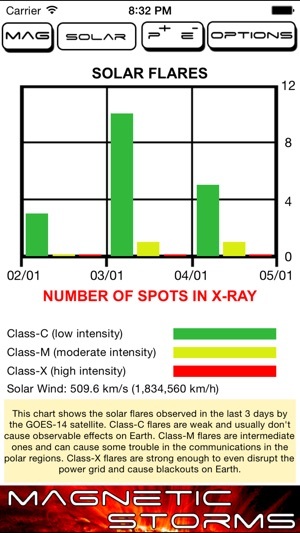 Some bug fixes, some improvements, and your favorite space weather app is ready to go! 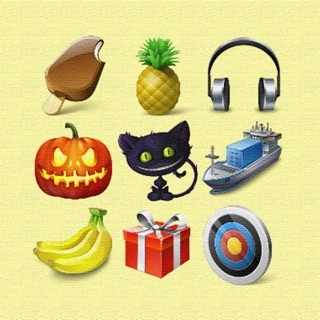 Thank you very much for supporting our app! Please write a review after downloading this new version, as the old ones are not valid for new releases, and this is VERY important to help us to maintain the app working. Can't get past the initial splash screen. Will give it one more try then delete it if it fails to load again. Sorry, we had some problems with the communication process, and some devices did not work properly. We have now a brand new version, and hopefully this problem is gone. If you could please try it once more, we would be honoured. Best regards.